In a sea of millennial pink, how do you stand out? Some might say: in yellow. Gen Z yellow, that is. 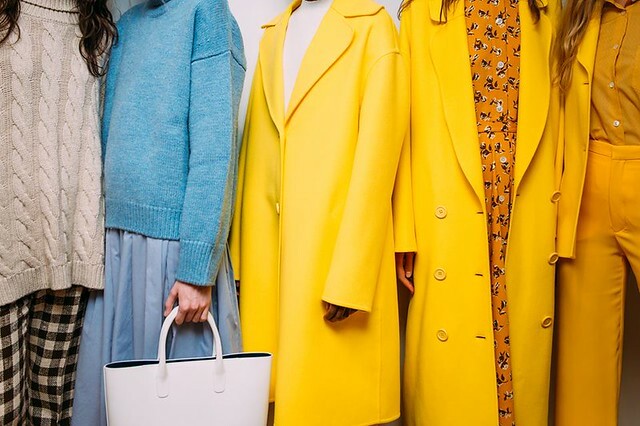 From Carolina Herrera to Christian Siriano, pops of the zesty hue have appeared this season in various styles and palettes across the board. New York Fashion Week has taken to the streets—and not just with killer street style. If you were lucky enough to be in lower Manhattan last Saturday night (or unlucky enough, depending on your opinion of the fashion set) then you might have seen the traffic-stopping spectacle that was #WangFest.